The motto of the U3A means that its members can learn through informal groups with no exams to take! Laugh, any group of 55 year olds and above, even younger if semi-employed, who get together to have a chat and a learn will end up in laughter. Live, the chance, particularly for single people, to get out and meet others of a similar inclination, age and enthusiasm. Do have a look through this site. It will spell out for you the various ways you too can learn, laugh and live! Don’t be put off by the formal title! There are no qualifications at the end of it. It is an international organisation which in the UK has more than 230,000 members. Made up of learning groups which are informal, everybody can contribute and the activities are many and varied from the arts and bird watching to walking via languages, film, music, history, photography, scrabble and much, much, more. Numbering nearly 160, you will find a friendly and busy U3A with about 40 active groups. There is a General Meeting, in the Town Hall in Fordingbridge, (see Notices for temporary change of venue) on the 3rd Wednesday of the month, 2.00 p.m. to 4.00 p.m. with invited speakers. Visitors are welcome, there will be someone there to meet and greet you and answer all your questions, for you to try it out before joining. Have a look at the latest News Sheet on this site and the Groups page for a flavour of our activities. If you are not in full employment then you can become a member of the U3A. Most, but not all members are 55 or more but age is not of itself a barrier to joining. Most of our groups are small – 5 to 10 - and we usually meet in members’ houses, once or twice a month. The groups are formed by members with specific interests. Group leaders volunteer to lead a group but do not necessarily have specific expertise, enabling everyone in the group to put in their “two penn'orth”. Lots of socialising goes on, keeping mind and body active, and an excellent way to meet new people and make new friends. Do take a look at the Groups page using the link above. Once you have joined our U3A, if a group has vacancies and you would like to give the group a try to see if it is for you, we offer one taster session. If the group is not what you are looking for you can leave without embarrassment as long as you let the Leader know. You still need to pay any refreshment costs, session costs or other usual group running expenses. The Membership year runs from 1st February until 31st January. 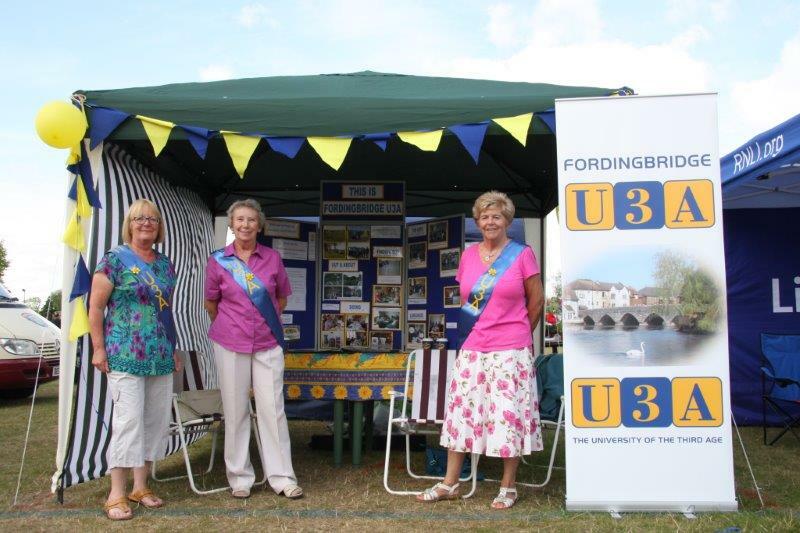 Membership of Fordingbridge & District U3A is £20 per year. A reduction applies if you join between August and February. The relevant application form can be found in the link provided. This includes insurance to enable members to participate in activities. For insurance purposes, membership is required before being accepted into a group. Members will receive five copies of the U3A magazine called Third Age Matters a year, together with three copies of subject specific Sources. A small percentage of the annual subscription goes towards financing the Third Age Trust. Current members can sign up for as many groups as they like and change groups should they wish, but there has to be a vacancy in the group they wish to join. 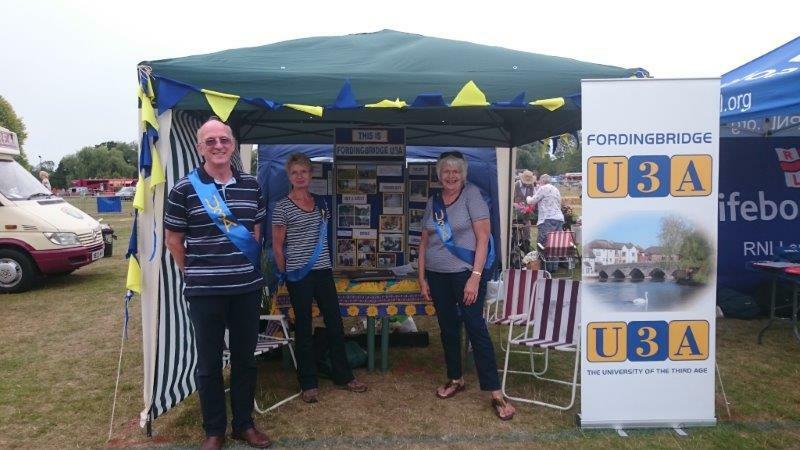 If you would like more information on how to join the U3A or about Groups please use the links on the Contact page to send a message to the Membership Secretary or the Groups Coordinator. Alternatively, if you know you wish to join here is a link to the U3A Application Form and Group Selection Form. Please read the forms carefully and follow the instructions and see the notes on Groups above. There is a Committee of four Officers and eight ordinary members, some with special responsibilities. Fresh ideas are always very welcome and if you would like to join the Committee or offer suggestions please use the Contact page. A list of the current committee can be found on the Contact page. The business of the AGM will take place, including election of Officers and Members to the Committee. U3A members will have received the Annual Report via email or post from the Secretary. For environmental reasons extra copies are not made available at the meeting. Please print off all or part of the report to bring to the meeting as you wish. Forms for nominating Officers or other members to the Committee are included within the Annual Report for your convenience. After the business section of the meeting, the Speaker will be introduced. Please note that our General Monthly Meetings will be held at Avonway Community Centre at 2pm on the third Wednesday of the month until further notice. This is whilst the Town Hall is being refurbished.